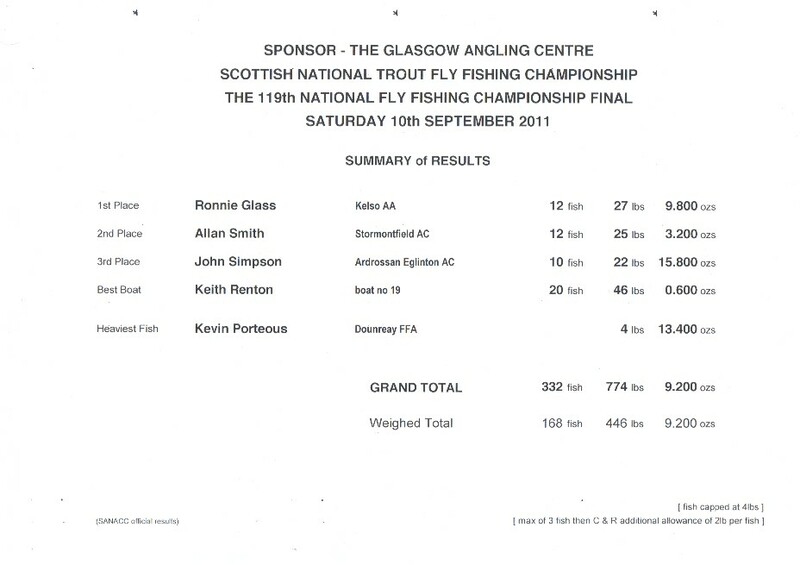 Ronnie Glass of Kelso AA is the 2011 National Champion. http://www.sanacc.org.uk/2011_final.html. Congratulations also to the Glasgow Angling Centre for continuing to sponsor this competition and to all who took part in it, thats some cup.